The three-day event is co-organised by the Minh Vi Exhibitions and Advertisement Services Co., Ltd., (VEAS) and the Netherlands’ Nova Exhibition BV. Nguyen Ba Vinh, a representative of the organising board, the scale of HortEx Vietnam 2019 doubles that of the previous year, making it the largest of its kind in Southeast Asia. The event has attracted the participation of nearly 200 businesses from 28 nations and territories, including Australia, Belgium, Canada, France, Germany, Israel, Japan, the Netherlands, and Vietnam. It also gathers cutting-edge products and modern technologies that serve the production and processing of fruits and vegetables, including net houses, packing machinery, and post-harvest handling solutions. 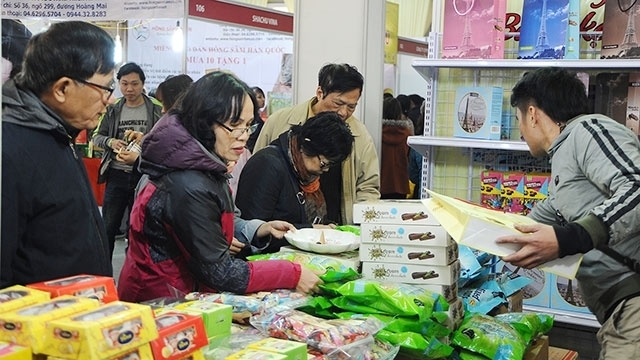 Along with the exhibitions, the organising board has coordinated with ministries, sectors, and associations to organise a series of workshops, as well as a forum on export market information that will introduce international buyers and update Vietnamese firms on sci-tech achievements in the field of vegetable and fruit production. In his opening speech, Deputy Director of the Agency for Southern Affairs under the Ministry of Industry and Trade Nguyen Quang Huy highlighted the importance of the cultivation sector in supplying high-value fresh and processed products to domestic and foreign markets. The sector has also made important contributions to increasing incomes and generating jobs for farmers as well as promoting the development of other economic sectors, he noted. Last year, Vietnam recorded great successes in exporting vegetables and fruits, with the export turnover reaching 3.8 billion USD and the figure is hoped to increase in 2019, he said. Huy underlined the need to create opportunities for exchange and connection to introduce products and share new technologies and market information, thus promoting the production and processing of vegetables and fruits in a sustainable and modern manner. 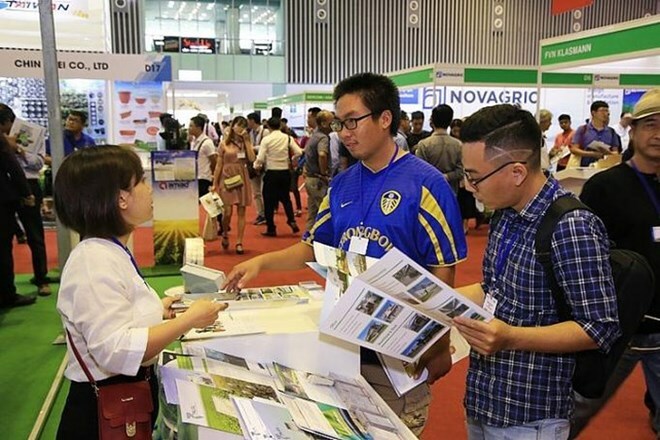 HortEx Vietnam 2019 is a useful trade bridge, helping Vietnamese enterprises promote their products to more domestic and foreign partners, thus expanding consumption markets and further attracting investment for stronger development in the sector in the time to come, he noted. HortEx Vietnam 2019 and its associated events will run until March 15. 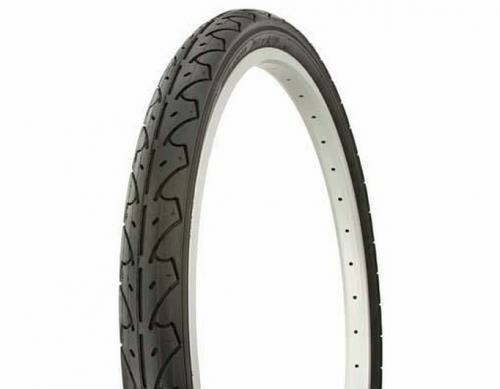 The Department of Commercial Defence (Decom) under Brazil’s Ministry of Industry, Foreign Trade and Services has initiated a sunset review of the anti-dumping duty order on new rubber tyres for bicycles classified under NCM 4011.50.00 from Vietnam, India, and China. Decom initiated anti-dumping duties against the product in December 2014, with duties imposed on Vietnam’s rubber bicycle tyres standing at 0.59-2.8 USD per kg. The department required exporters of relevant countries to respond to questionnaires indicating the information necessary to the investigation on Decom’s portal decomdigital.mdic.gov.br. They shall have a 30-day deadline for response, counting from the date of notification. The deadline can be extended up to 30 days based on request of relevant sides, the Brazilian authority added. According to the Department of Trade Defence under Vietnam’s Ministry of Industry and Trade, India will be the reference nation to calculate the product’s common value. In case Vietnam’s exporters and manufacturers disagree with this decision, they are allowed to state their opinions within 70 days from the beginning of the sunset review (with no extension). Information and data submitted to Decom must be translated into Portuguese or one of the official working languages of the World Trade Organisation. 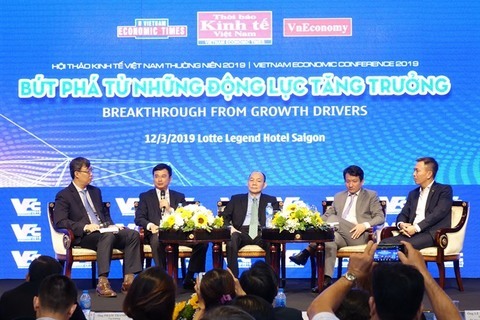 A panel discussion at the Vietnam Economic Conference on the theme “Breakthrough Opportunity for Business Growth” held in HCM City on March 12. Capitalising on the advantages and opportunities brought by economic integration to achieve a breakthrough in economic development and promote the business community and institutional reform will be Viet Nam’s focus in the near future, according to the Ministry of Planning and Investment. Speaking at the Vietnam Economic Conference on the theme “Breakthrough Opportunity for Business Growth” in HCM City on Tuesday, Deputy Minister Nguyen Van Hieu said Viet Nam has become a member of most global multilateral financial organisations, signed more than 60 agreements for the encouragement and protection of investment, over 60 double tax avoidance agreements and over 90 free trade agreements. The economy was relatively stable last year and inflation under control at 3.54 per cent. Viet Nam has worked to complete institutional reforms and improve the business environment, help small and medium sized enterprises develop and attract foreign direct investment (FDI), Hieu said. Delegates urged the Government to focus on encouraging and creating conditions for the private sector to develop. Vu Tien Loc, chairman of the Viet Nam Chamber of Commerce and Industry, said "Viet Nam has good FDI prospects". However, to achieve a breakthrough, institutional reforms are needed, he said. Loc said in institutional reform there are two imperatives: developing a comprehensive institutional system and scrupulous enforcement of regulations. Economist Tran Du Lich said there was an overlap between the functions of ministries and localities. “The country has been implementing institutional reforms for many years but they have not met expectations since we have not carried out comprehensive reforms. At a panel discussion on the financial and banking market, Pham Thanh Ha, director general of the State Bank of Viet Nam’s Monetary Policy Department, said the good economic growth of last year would create momentum for the economy as well as the financial market. "Interest rates are expected to be steady this year based on factors like steady world oil prices, lower inflationary pressure and a depreciation of the US dollar," he added. Ha Huy Tuan, vice chairman of the National Financial Supervisory Commission, said exchange rates and money supply were forecast to be stable this year thanks to positive factors both within and outside the country. But he warned about challenges faced by the financial and banking sector since Viet Nam is a highly open economy but still small and the development level of its financial and banking sector is still low. With such openness, any volatility in the global economy would affect it too, he said. The economy as well as the banking and financial market were still in transition and would need to adopt international accounting and auditing standards, he added. Many delegates said there was a huge opportunity to maintain high growth due to positive factors within and outside the country. Organised by the Viet Nam Economic Times, the 12th conference attracted executives from more than 300 local and foreign firms. That was the message from Vu Ba Phu, Director of the Vietnam Trade Promotion Agency under the Ministry of Industry and Trade who feels enterprises must get the right certification in order to penetrate the global market. The consumption of green-certified products is becoming a trend in many countries, especially in developed ones. He was speaking at the launch of workshop titled “Trade for sustainable development (T4SD) hub in Vietnam” held in Hanoi on March 12. Phu said sustainable development had become a prime target of most countries in the world as green growth tops product demand. “In Vietnam, green growth has been defined as a strategy toward sustainable development,” he said. “In reality, firms applying green technologies would have big opportunities in attracting investment, customers and increasing their value despite of initial challenges. 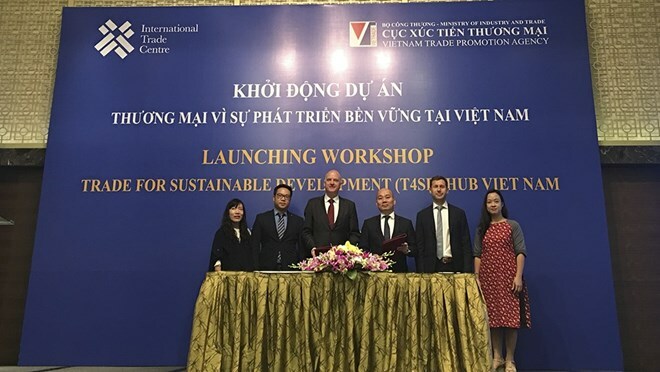 “This could be an opportunity for Vietnamese financial institutions and businesses when promoting green finance, bringing sustainable benefits to community,” he said. He added that most Vietnamese companies don’t have the correct framework to ‘go green’ due to financial restraints and climate change. This, he said, is the reason the project aims to support firms and help develop more environmentally friendly products. 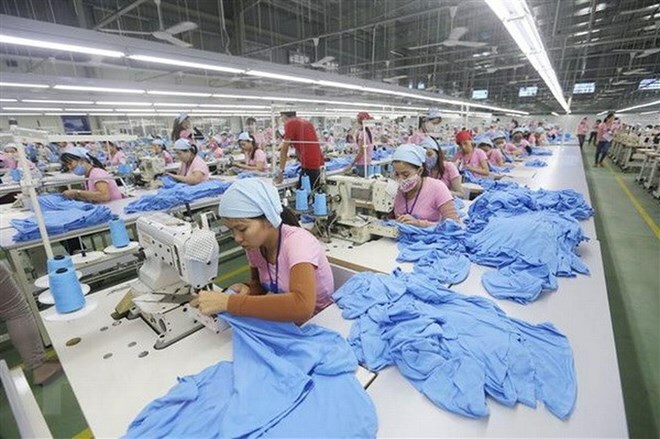 “Catching up to the global trend, the commercial project for sustainable development in Vietnam aims to enhance competitiveness of Vietnamese enterprises and support them to effectively participate in the international value chain through grasping and integrating sustainable business strategies,” he said. The project would be implemented within two years, focusing on three targets of providing technical supports to businesses, sustainable solutions through well-design tools of International Trade Centre (ITC) and guiding them to develop greener products. In addition, the project would also help firms access markets and locate products internationally as well as helping them access loans. 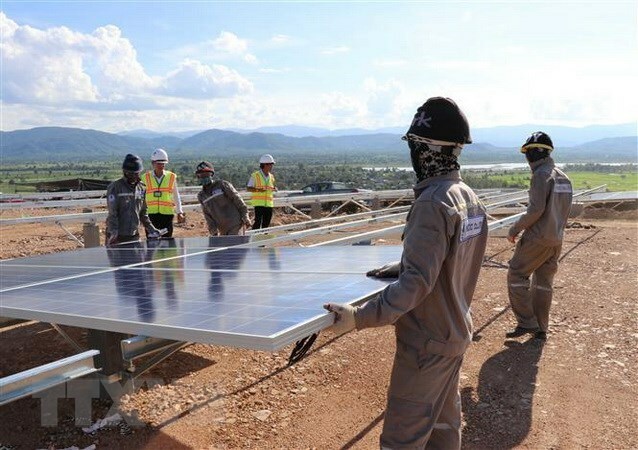 Nguyen Bao Thoa, an advisor of the project said capital was one of difficulties developing sustainability because businesses need tens of millions of dollars to change the entire technology, equipment and process. Therefore, supporting enterprises is an important factor for them to successfully transform from unsustainable to sustainable development. This capital will be invested in technology, improving their capacity, awareness and techniques. The project will also be launched in HCM City on March 13. Participants said the intensive integration into the global economy has helped Vietnam perfect institutions and align them with international norms. 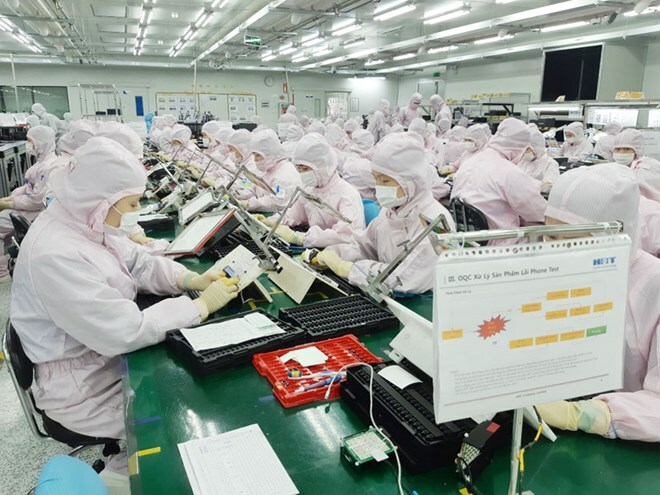 Opportunities and challenges posed by the participation in global supply chains have required Vietnam to adapt to the increasingly fierce competition in a world of free trade. Deputy Minister of Planning and Investment Nguyen Van Hieu said the country will have to step up reforming FDI attraction orientations and create a more favourable investment climate. Aside from efforts by the Government, ministries and sectors, businesses should also actively improve their governance and manpower training to promote the capacity of integrating into the international economy, he noted. Some experts shared the view that it will be hard for many sectors with fast growth in 2018 to sustain their pace this year, including processing, agro-forestry-fishery production, exports, the domestic market’s purchasing power, tourism, and real estate. Meanwhile, some institutional bottlenecks relating to public investment or the project financing forms of build-transfer (BT) and build-operate-transfer (BOT) that haven’t been removed will affect the growth rate in 2019. Dr. Tran Du Lich, a member of the Prime Minister’s advisory group, said the main issues for Vietnam for many years to come will still be growth quality and institutional reforms amid complex developments in the global economy. Therefore, the Government’s economic-financial policies will still need to ensure both growth quality and pace, he noted, adding that the annual growth rate is likely to average 6.9 percent in 2019-2020 and 6.75 percent between 2016 and 2020. Lich said with advantages in terms of economy and political stature, Vietnam can be considered an attractive destination for foreign investors. It has been working to perfect institutions, support private businesses, and promote the development of small- and medium-sized enterprises to boost the capitalisation of economic development chances. He recommended that the change in mechanisms and policies, including those in the financial, monetary and banking sectors, should match developments in the market. The annual economic conference was held by the Vietnam Economic Times in coordination with some ministries and sectors. The Master Agreement for Repo Transactions was introduced at the annual meeting of the Vietnam Bond Market Association (VBMA) held in Hanoi on March 12, with 17 members of the association signing an MoU on the use of the master agreement. VBMA Chairwoman Nguyen Thi Kim Oanh said the introduction of the master agreement provides another firm legal foundation for the repo market, helping it gradually reach international standards and practices, thus increasing liquidity of the bond market and diversifying players in the market. According to Oanh, the VBMA will continue to support the completion of the legal framework for the bond market and develop the market through introducing standardized practices of developed markets. The association also plans to organize training courses on professional knowledge and transaction skills for members while expanding international cooperation to attract more foreign investors to Vietnam’s bond market. On the occasion, Pham Thanh Tam from the Department of Banking and Financial Institutions under the Ministry of Finance informed that the ministry will continue working to complete the financial framework for corporate bonds issuance in 2019. The ministry will also review and refine mechanisms and policies to attract professional investors, long-term investors and foreign investors to the bond market. The Mekong Delta province of Hau Giang is calling for investment to six major projects in 2019. They include the construction of infrastructure and resettlement areas at Nhon Nghia A industrial complex with the respective total investment of 500 billion VND (21.6 million USD) and 350 billion VND. 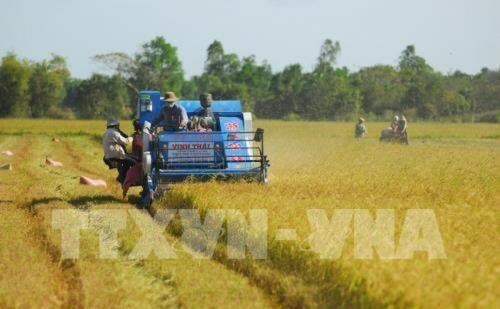 The new urban area project in Chau Thanh A district and the large-scale paddy field in Vi Thuy district have respective total investment of 816 billion VND and 216 billion VND. The high-tech agricultural region project in Vi Thuy district and the infrastructure investment at the industrial cluster of Tan Tien wharf are worth 418 billion VND and 280 billion VND respectively. Hau Giang recorded an economic growth of 6.93 percent in 2018. The province is now home to one high-tech agricultural park, two industrial parks and eight concentrated industrial clusters. 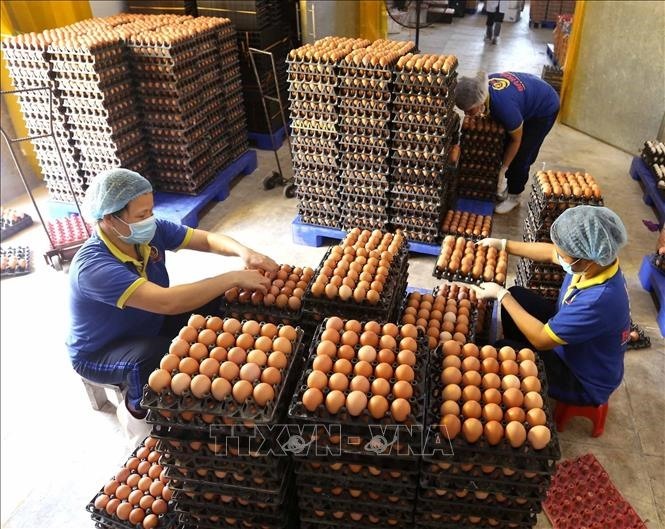 Workers check eggs before packaging. The Ministry of Industry and Trade has issued Circular No 04/2019/TT-BCT setting import quotas for salt and eggs for April 17 to December 31, 2019. The import quotas follow Việt Nam’s commitment to WTO rules. Under the commitment, the country has to import four items including sugar, salt, eggs and tobacco. The import quota for salt is 110,000 tonnes and 662,172 for eggs this year. The ministry said it would allocate the salt for chemical production and pharmaceutical use. These supplies would be used for production purposes only. Last year, the import quotas for salt and eggs were 110,000 tonnes and 630,636, respectively. A stunning sunset view from Park Hyatt Phu Quoc. 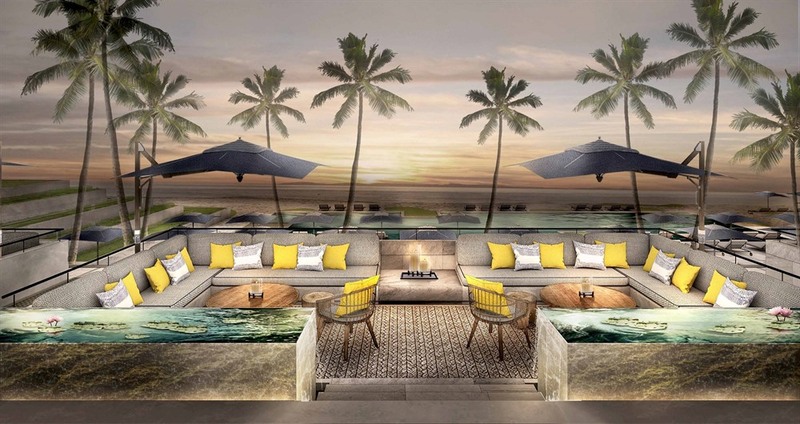 Chicago-headquartered Hyatt Hotels Corporation recently announced that a Hyatt affiliate had entered into an agreement with Vietnamese corporation BIM Group to develop the Park Hyatt Phu Quoc Hotel as well as 65 residences on Phú Quốc Island, Kiên Giang Province. Slated to open in 2022, Park Hyatt Phu Quoc and residences are poised to introduce the brand’s refined luxury and exceptional service to Việt Nam’s emerging resort destination. Situated on the southwestern tip of Phú Quốc Island on an area of 160 hectares, the hotel and residences will offer guests and residents an exclusive oasis and a sophisticated home-away-from-home with designs inspired by traditional Vietnamese villages and all guestrooms, suites and villas offering stunning sea views. Park Hyatt Phu Quoc will be a 30-minute drive from Phú Quốc International Airport, with direct access via the main north-south highway, and 40 minutes from Dương Đông, the island’s main town. “As Hyatt grows its resort presence in Việt Nam, we are delighted to bring the Park Hyatt brand to a remarkable destination such as Phú Quốc Island with its rich biodiversity, beautiful beaches and idyllic surroundings,” said David Udell, group president, Asia-Pacific, Hyatt Hotels Corporation. “We are delighted to work with Hyatt on this exciting project and confident that the company’s international hospitality expertise will enable us to introduce a new kind of luxury and sophistication to Phú Quốc,” Dũng said. There are currently 40 Park Hyatt hotels across the world. Hyatt Hotels Corporation is a leading global hospitality company with a portfolio of 19 premier brands. As of the end of 2018, the company’s portfolio included more than 850 properties in 60 countries across six continents. BIM Group operates in tourism development and real estate investment, agriculture – food, commercial services and renewable energy. Speaking at the event, Chu Thai Thanh, editor-in-chief of the Tai nguyen va Moi truong (natural resources & environment) magazine, highlighted the promotion of clean energy, clean production and clean consumption as a constant requirement in Vietnam’s development strategy. Playing an important role in such process, the business community should boost their awareness on environmental protection, particularly in the exploitation of natural resources, he added. Their work can contribute to realizing the goal of having between 95 and 100 percent of economic wastewater properly treated by 2020, Thanh said. Nguyen The Chinh, head of the Institute of Strategy and Policy on Natural Resources and Environment, noted international economic integration and a change in consumer’s awareness and behavior in favour of environmental protection have created both pressure and motivation for firms to carry out their social responsibility toward the environment. Many have invested in eco-friendly technologies, while others are yet to be aware of the importance of the matter, he said. According to Chinh, being environmentally friendly helps enterprises boost competitiveness, enter foreign markets, and ensure sustainable growth. The resolution asked ministries, sectors and localities to keep a close watch on domestic and global economic development, operate macro-economic policies and control inflation in a concerted way, and increase there silience of the national economy from global impact. The Government requested the State Bank of Vietnam to employ a flexible monetary policy in close connection with fiscal policy and maintain reasonable liquidity, reinforce State foreign exchange reserves and develop more credit products. The Ministry of Finance was asked to strictly manage fiscal policy, promote State budget collection and improve efficiency of stock market operations and financial services, and help enterprises access capital. The Ministry of Planning and Investment and the Ministry of Finance will coordinate in investigating and promote sectors and localities to accelerate the disbursement of public investment capital. Meanwhile, the Ministry of Industry and Trade will be responsible for giving directions for implementing the Comprehensive and Progressive Agreement for Trans-Pacific Partnership (CPTPP), and accelerating the implementation of large-scale industry projects. 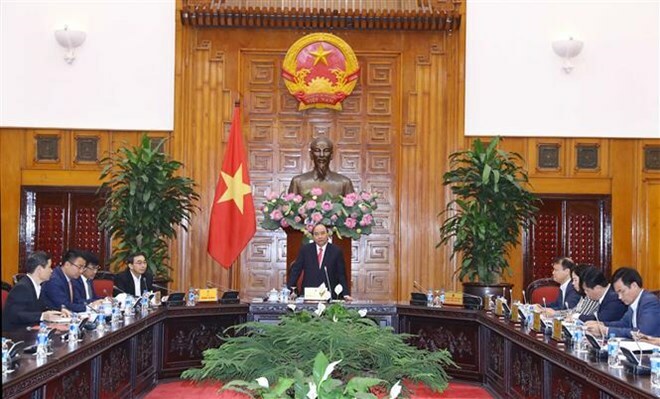 According to Chairman of the provincial People’s Committee Le Duc Vinh, the south central province is home to three bays, namely Van Phong, Nha Trang and Cam Ranh. The Star, a leading Malaysian newspaper, has described Nha Trang as the “underrated pearl” of Vietnam. 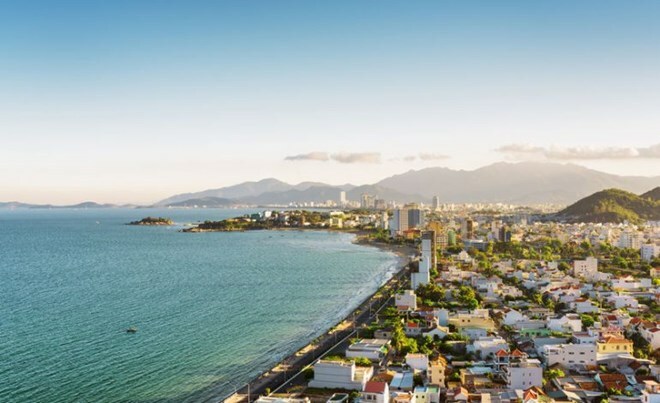 Stretching over 6km of powdery white sand, the crescent-shaped Nha Trang Beach overlooks one of the most beautiful bays in the world – Nha Trang Bay – and is easily accessible by foot from the bustling heart of the city, it said. Meanwhile, Cam Ranh Bay was named among the world’s seven best destinations in May 2018 by top travel magazine Condé Nast Traveler. Located near the city of Nha Trang, Cam Ranh boasts pristine and mesmerising beaches. It is where one can find a "lifetime fascination" in the deep waters, the US magazine said. Hon Gom peninsula and the islands of Hon Lon and Diep Son have the potential to house large-scale leisure and entertainment projects. Through the host of the National Tourism Year 2019 themed “Nha Trang – Colour of Sea”, Khanh Hoa aims to promote the beauty of seas and islands and tourism products in the province. According to the provincial Department of Tourism, Khanh Hoa welcomed 6.3 million tourists in 2018, including some 2.7 million foreigners, and grossed more than 20.5 trillion VND (885.2 million USD) in revenue. The province strives to serve more than 6.8 million tourists in 2019, a year-on-year rise of 7 percent, including 3.3 million international holidaymakers, and rake in 22.5 trillion VND in tourism revenue. 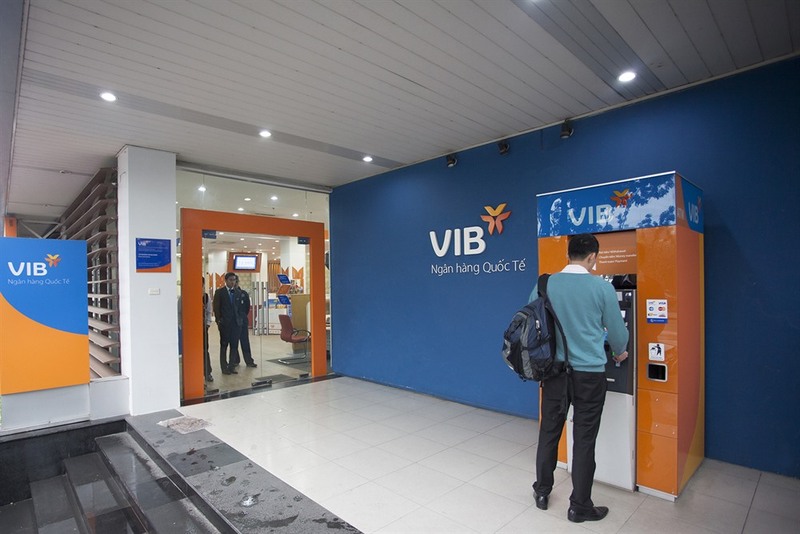 Vietnam International Bank (VIB) has set a target of earning a pre-tax profit of VNĐ3.4 trillion (US$146 million) in 2019, up 24 per cent year-on-year. The bank’s total assets are expected to reach VNĐ182.9 trillion while its total lending balance will amount to VNĐ136.5 trillion by the end of this year. VIB expected to maintain its bad debts at below 2 per cent, the bank said in a press release published on Monday. This year, the bank plans to increase its charter capital to VNĐ10.9 trillion besides granting bonus shares for shareholders and investors. It will also list its shares on the Hồ Chí Minh Stock Exchange. In 2018, VIB recorded a massive pre-tax profit rise of 95 per cent of more than VNĐ2.74 trillion compared to the previous year. The pre-tax profit was also 37 per cent higher than the target for the year, VIB said, adding that 2018 was the second consecutive year its profits saw a year-on-year rise of nearly 100 per cent. The bank’s revenue increased by 48 per cent over the previous year, in which interest income and non-interest income grew by 40 and 92 per cent, respectively. As of December 31, 2018, VIB’s total assets topped nearly VNĐ140 trillion. The bank’s lending balance reached VNĐ98.93 trillion, up 17.5 per cent year-on-year. Its retail lending balance witnessed a remarkable rise of 48 per cent to VNĐ74.3 trillion. According to VIB, its annual general meeting in 2019 was slated for March 28 in HCM City. A conference was held in Toronto, Canada on March 11 to help Canadian small- and medium-sized enterprises (SMEs) study the Vietnamese market with the Comprehensive and Progressive Agreement for Trans-Pacific Partnership (CPTPP) effective. Addressing the event, themed “CPTPP: Vietnam”, Canadian Minister of Small Business and Export Promotion Mary Ng affirmed the significance of the relationship between Canada and Vietnam, two members of the CPTPP, as well as the position of Vietnam as the largest trade partner of Canada in ASEAN. The minister held that the Vietnam-Canada partnership is strong, expressing her hope to connect businesses of the two sides to promote two-way trade. She said the Canadian side can fund its enterprises’ activities to research the market and join trade fairs to seek business opportunities in Vietnam. Statistics showed that in 2018, Canada exported 1.02 billion CAD worth of goods to Vietnam, while importing 5.38 billion CAD worth of commodities from the country. Jay Allen, deputy head of CPTPP negotiation team of Canada, highlighted the strengths of the Vietnamese market, including the strategic position in Southeast Asia, young population, and high GDP growth of more than 6 percent annually since 2014. Allen said cooperation opportunities between the two countries are abundant in agriculture, aquatic farming, infrastructure, green technology and ICT. Meanwhile, Dr. Nguyen Dai Trang, Director of the Canada-Vietnam Trade Council, said since the CPTPP was ratified, Canadian firms have paid greater attention to Vietnam. She revealed that the council will introduce the Vietnamese market to Canadian businesses through the organisation of and participation in events, while also helping delegations study the Vietnamese market. Canada is the only country in the G7 that shares trade agreements with all members of the group. The Canadian business community is interested in various Vietnamese products, especially farm produce such as pork, beef, chicken and fresh fruit. As the US – Vietnam relationship is growing strongly, the increasing presence of US companies in Vietnam shows their confidence in the country, VnExpress reported. More US enterprises are interested in Vietnam compared to the last two years, especially when there has been a shift in the global value chain and Vietnam has emerged as a potential candidate for US investors among investment destinations, according to Michael Michalak, regional managing director for the US – ASEAN Business Council. As the US – Vietnam relations are growing strongly, the increasing presence of US companies in Vietnam shows their confidence in the country, Michalak said in a press meeting ahead of a series of events held by the US – ASEAN Business Council in Vietnam this week. According to Michalak, US enterprises have invested a total of US$300 billion in ASEAN over the last 15 years, and are willing to invest more, particularly in the context of digital economy development. A delegation of 50 major US enterprises are expected to come to Vietnam to attend these events, including an annual business event and a conference on healthcare – science – cyber security and data privacy. Additionally, the delegation is scheduled to meet with Prime Minister Nguyen Xuan Phuc and senior government officials to discuss various issues concerning business activities and policies. Alexander Feldman, president and CEO of the US – ASEAN Business Council, said 2019 would be the year with the highest number of US enterprises joining the program. Feldman said they would discuss with the Vietnamese government on regulations of listing securities on the stock market, taxation laws, market access capability and data storage. Feldman highly regarded Vietnam’s rapid economic growth and business opportunities in this growing market, adding that the objective of the program is to help Vietnam become a greater investment destination in the eyes of US enterprises. Both Michalak and Feldman agreed that Vietnam’s attractiveness comes from the government's determination to build a facilitating state, the people and the openness of the economy. The Vietnamese government is an ideal partner for enterprises, and willing to listen and act to create a friendly business environment, Feldman stressed, saying that the government has played a key role in the success of Vietnam, while the Vietnamese people are diligent, smart and creative. Feldman said he sees huge potential in Vietnam, not only in investment but also in trade and education. As such, the country is gradually becoming one of the top countries in ASEAN, he noted. Referring to a number of free trade agreements that Vietnam is a party to, Michalak said the country understands the benefits of global integration and spares no effort to ensure inclusive development in the economy. Wyndham Hotels & Resorts, the world’s largest hotel franchisor and a leading provider of hotel management services, is celebrating the launch of its first Wyndham Garden hotel in Vietnam with the opening of Wyndham Garden Hanoi Hotel. Located just a few minutes from the National Convention Center, Wyndham Garden Hanoi Hotel ushers in a new era of international accommodation in one of the capital’s rapidly developing districts - Nam Tu Liem. The impressive upper-midscale hotel was developed by the PPC An Thinh Investment and Infrastructure Development JSC (PPCAT) and will operate under a management agreement with Wyndham Hotels & Resorts. As one of the youngest brands in the Wyndham portfolio, Wyndham Garden embraces natural materials, daylight and pops of green to make guests feel like they’re relaxing in nature. Downtown Hanoi is just 20 minutes away from the new hotel and Noi Bai International Airport can be reached in approximately 40 minutes. Accommodation options at Wyndham Garden Hanoi Hotel include Deluxe King and Twin rooms as well as Junior Suites and Deluxe Suites, all of which feature floor-to-ceiling windows and free wi-fi. For special occasions or for guests who enjoy a little extra luxury, the opulent Presidential Suite features two bedrooms with ensuite bathrooms, a full kitchen, a dining area, parquet floors, and panoramic views of the Hanoi skyline. In line with the Wyndham Garden concept, guests will be greeted upon arrival at check-in stations in an open-plan lobby area, which also opens out onto an elegant alfresco terrace bar featuring light rattan furniture and lush greenery. The Silk Garden all-day dining restaurant serves daily breakfast, a la carte menus, and themed buffets, while the rooftop Twilight Bar provides the perfect setting to relax with evening cocktails. This offer was made public at the Google Cloud for Startups workshop held recently in HCMC with the participation of hundreds of entrepreneurs. Qualified startups can sign up for one of three support packages, with value ranging from $3,000 to $100,000 a year. The packages include Google G Suite, a cloud computing brand of tools and software that allows startups to test and improve their digital products. Vietnamese startups that qualify for the support are those that are less than five years old and have received no more than Series A funding, or the first round of financing that a startup receives form a venture capital firm. They should also be developing their products and services digitally. Vietnam is among six countries in Southeast Asia that Google has offered this support to. The country has had a vibrant startup industry in recent years. Last year, investment in Vietnamese startups tripled from 2017 to $889 million, according to startup accelerator program Topica Founder Institute. According to Pham Tien Dung, director of the provincial Department of Industry and Trade, local export earnings in February alone reached 53.7 million USD, bringing the total export figure for the year’s first two months to 107.9 million USD, up 15.02 percent from the same period last year and equivalent to 13.66 percent of the annual target. Key foreign currency earners included electronic products, garments-textiles, metal, and compressed wood panels. Dung said that in order to achieve the 2019 goal, the provincial trade and industry sector will focus on reforming administrative procedures; attracting investment; and stepping up the building, development, and registration of national trademarks and key export staples. It will also increase trade promotion activities and introduce agricultural products to potential markets, capitalise on signed free trade agreements, and remove hurdles to facilitate local enterprises and projects, he added. In 2018, Hoa Binh’s import-export turnover exceeded 1.1 billion USD. In addition to the positive results in socio-economic management in February and the first two months of 2019, the market witnessed new developments in inflation that are in need of attention. In the first two months, the growth rate of the consumer price index (CPI) was lower than the same period last year, while the monetary and foreign exchange markets were stable, liquidity was good and interest rates were maintained. Foreign direct investment saw a strong increase compared to the same period in 2018. In addition, the exports and imports of goods continued to significantly rise, while the trade deficit was still within the target set by the National Assembly. However, the price of electricity may increase up to 8.36% from the end of March under the proposal of the Ministry of Industry and Trade, which could lessen 0.22% of the country’s GDP in 2019 and increase the CPI up 0.29%. Notably, the market recorded a continuous increase in the prices of some commodities in the first week of March alone. Specifically, gas prices increased by VND17,000 per 12kg canister from March 1. One day later, the retail prices of some petroleum products were adjusted to sharply rise with the highest level of VND1,000 per litre. Until now, African swine fever (ASF) has appeared in several localities around the country and could become a threat to the ability of re-herding as well as the prices of pork and other types of food. In the growth scenario for this year, research agencies and organisations optimistically forecasted that the year-round inflation could be controlled below 4%. However, the task of controlling inflation will not be easier than last year due to many adverse factors such as the increase of the price of input materials for production, causing low competitiveness and profit. Natural disasters, epidemic diseases, decisions on implementing the adjustment of several essential goods (electricity, healthcare services, education and petroleum) and the ability to loosen the monetary policy for higher growth will cause a great impact on inflation control. According to economic experts, in order to achieve the double goals of high growth and low inflation as in 2018, price management should be implemented carefully, proactively and flexibly with the smooth coordination of the ministries and agencies concerned. Regarding the prices of essential commodities, ministries, agencies and the General Statistics Office need to strongly coordinate together to calculate the appropriate level and time of adjustment in order to control the general price level as well as limit the impact of costs on production, consumption and people's lives. It is also a successful lesson from price management in 2018. It is crucial to enhance the synchronous coordination in the management of monetary and fiscal policies and prices as well as thoroughly calculate the time of price increases for basic and essential commodities to control inflation in 2019. In addition, the relevant agencies should continue to make efforts to stabilise the macro economy, particularly interest and exchange rates. Vietnamese seafood exports were estimated at US$372 million in February, raising the sector’s total export revenues to US$1.11 billion, up 4.4% over the same period last year. Japan, the US, China and the Republic of Korea were the four largest importers of Vietnamese seafood in January 2019, accounting for 53% of the total export value. The strongest growth was seen in the markets of Mexico, Canada, the US and Japan at 32.4%, 27.8%, 24.9% and 17.7% respectively. In February, Vietnam also imported US$91 million worth of seafood, bringing the total imports in the first two months of 2019 to US$247 million, down 9.3% year on year. According to the Department of Agro-Processing and Market Development, Vietnamese catfish exporters will face greater competition from Myanmar in the Chinese market with the completion of a catfish raising project in Ayeyawady. Meanwhile Vietnamese shrimp exports to Japan will benefit from the CPTPP, which came into effect for Vietnam in January. Processed shrimp products are expected to witness decent growth in the future thanks to growth in Japan’s ready-made food market as a result of the increasing number of singles who spend less time cooking. It is forecast that Vietnam’s shrimp exports to Japan will record double-digit growth in 2019. The Mipec Service and Management Co., Ltd. has officially opened another Game Amazing Town in Hanoi’s Ha Dong district, following the first in the capital’s Long Bien district. The new Game Amazing Town is located on the 3rd floor of the Ha Dong Mac Plaza Shopping Center. With modern game technology suitable for all ages, the Ha Dong Game Amazing Town is a milestone in Mipec’s development in the entertainment industry. Equipped with more than 130 modern game machines, Amazing Town allows players to enjoy new experiences in an unprecedented gameplay space where they can tap into their own imagination and dreams through Mixed Reality - a technology providing modern and ultra-realistic virtual reality games. Mipec was established on November 24, 2010 and its license was amended for the eighth time on March 16, 2017. With a professional and experienced management team, the company strives to provide the most comprehensive solutions to protect and maximize real estate value while minimizing management costs. At the same time, it adopts the most appropriate management strategy and business solutions and provides complete management services for many types of real estate around Vietnam. With nearly nine years of experience in construction and development, the Mipec Service and Management Co., Ltd has continually developed its services, striving to bring the best quality to customers and gradually becoming a prestigious and professional enterprise in the fields of real estate management, operations services for apartment buildings and office buildings, and entertainment services, contributing to its brand and reputation in the field of real estate and services.